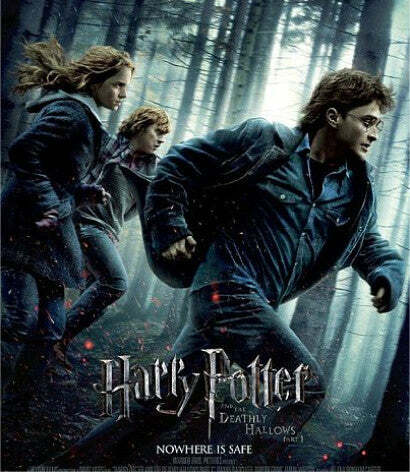 Harry Potter mania is set to reach fever pitch in the run-up to this weekend's release of The Deathly Hallows, the first part in what promises to be a two-film swansong of epic proportions. We've previously investigated whether you should invest in Harry Potter's memorabilia (As Harry Potter prepares to meet his 'Deathly Hallows', should you invest in his memorabilia? September 23) and the answer is a resounding "yes". Author JK Rowling's most famous creation has had such an impact on popular culture, both in books and on the silver screen, that the franchise's legacy is sure to live on. What's more, Harry Potter and JK Rowling memorabilia has already proven itself on the world's top auction blocks. This book was inscribed by JK Rowling after her first major newspaper interview, with Elizabeth Dunn of the UK's Daily Telegraph newspaper. Dunn smoked during the interview. JK Rowling had recently given up cigarettes. She inscribed: "Breath some more/smoke my way! JK Rowling". The first edition of the Philosopher's Stone had a print run of 500. Four-hundred went to public libraries, leaving only 100 on sale to the public. As rare as it is coveted, the book sold for $24,000 at a US auction in February 2010. This 30 inch terrestrial globe was produced by W & A K Johnston, and was immortalised in Harry Potter's first big screen outing back in 2001 (was it really that long ago...?). Touched with Hollywood magic, the globe was sold at a Sotheby's auction in July 2001 for £17,750 against an estimate of £8,000-12,000 - testament to the impact of the first Harry Potter movie among collectors in the first year of its release. Fans of Harry Potter mustn't forget the genius who brought him to life. This is the very chair upon which Joanne (or JK) Rowling sat while writing the first two Harry Potter books. The chair was decorated with the words "I wrote Harry Potter here". At the time the auctioneer commented "It's a chair you would normally pay a tenner for in a junk shop but, historically, it's the most important chair in Muggledom." Fortunately the chair wasn't auctioned in Muggledom, but at a UK auction house. It sold for £19,555 in July 2009. A pencil and watercolour signed by the artist Thomas Taylor was sold in July 2001. As the first book cover, Taylor's image was the public's first introduction to an image of Harry Potter. It was auctioned at Sotheby's in July 2001 for £85,750. This amount is especially impressive considering that the artwork was estimated at £20,000-25,000. It was undoubtedly a very pleasant surprise for Taylor. It nevertheless played a key part in Harry Potter's creation, and also appears in book of The Deathly Hallows. The Tales of Beedle the Bard is a book of children's stories by British author JK Rowling before a certain boy wizard brought her global renown. Not only that, but the book also contains clues and symbolism related to the end of the Harry Potter series. Fans will also be aware that it is the book Hermione receives in Dumbledore's will - a copy of the original edition. A collector got their hands on an edition even finer than Hermione's at auction in December 2007. One of seven known handmade copies handwritten and illustrated by JK Rowling went to auction with a starting price of £30,000, and was expected to sell for £50,000. We were present at the auction and entered a bid of £1m. It finally brought £1.95m.